there is a thin black line ... square shape... around the image after i import it ... how do i get rid of it? Most likely your SVG contains a square white background or an embedded image that needs to be deleted. but if that doesn't work, you will need to delete the white background or embedded image from your SVG, and then import the new version. A one year membership is for the desktop version of the software. So if you bought a 1 year pro membership you should still be able to search your computer for images the same as you did during the trial period. The ipad app is a one time purchase and it is a separate critter with slightly different features. I believe that it does not have a computer icon because you cannot search your computer hard drive from your ipad. "If you press the pencil icon on VideoScribe, you will see a number of options on how to import images. You can import from your Camera Roll or from DropBox and via a web URL if the image is online and you have the URL address for the image. After you render, you can upload the Video to Youtube and Facebook. You also have the option to upload it to DropBox or save it to your Camera Roll." I've found two solutions to this (very frustrating) problem. 1) draw a mask lightly smaller than the shape that is being outlined. 2) add a 1pt white outline to the shape in illustrator (or other drawing program). Sparkol, please fix this nonsense. Sorry that you're having this issue. Because this is related to particular SVG images and not others, we would need to take a look at the SVG you are trying to use to help you resolve this problem. If you would like that support, please open a ticket here http://help.videoscribe.co/support/tickets/new. 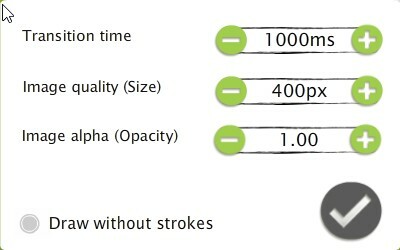 Same problem with SVG image imported from idraw. A red line box that I cannot shake and which is the only thing that is drawn in by the hand! 1) You may want to upload the SVG if you want feedback about it. 2) set the background to "transparent" in iDraw before saving ? Hello Mike. Thank you for your comments. I have already tried 2 and 3. Is inkscape preferred over idraw? I downloaded the latter based on advice of videoscribe users, but am happy to learn inkscape if this is less buggy. The file you attached does not seem to be a valid SVG image. Sparkol refers to illustrator and inkscape in their tutorials so I would categorize those two programs as the "most supported" vector programs. How to make SVGs draw well?